The McCourt Heating and Cooling, LLC family is staffed with fully licensed and insured technicians that can help you achieve the right heating or cooling solution for your needs. Whether you are looking to ensure your current system is running optimally or you are looking to upgrade to a new system, we’re here to help. From residential to commercial, if it’s heating and cooling you are looking for, we can handle it all, including installations, replacements, and repairs. When you call us, you always speak with a live person who will work with you to find the best products for your situation. 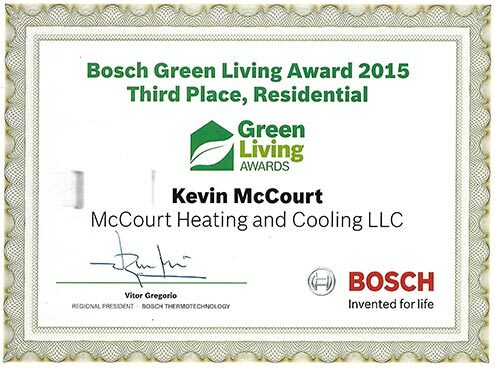 Under the expert eye of Kevin McCourt, owner, our company has been servicing air conditioning and heating systems in the Dutchess County region for more than 20 years. Our technicians have more than 45 years of experience. We provide quality workmanship, professional service and reasonable rates. Kevin and his expert crew always put in the extra effort to keep you satisfied.